I usually found different kinds of pikachu paintings on the internet,and many of them are so amazing.I can remember pikachus wearing a kimono,business suit,armor,bikini(?! ),and so on. 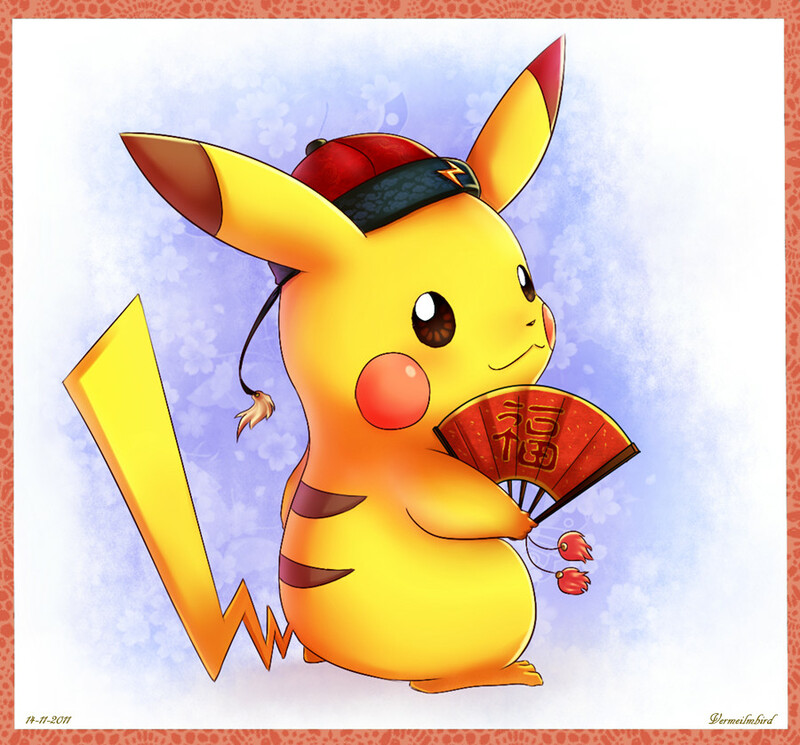 I drew a chinese pikachu and a chinese word on its fan.It means happiness and is a popular character to be used in China.